Ignite The Spark: Should Britain Leave the European Union (EU)? Should Britain Leave the European Union (EU)? If the UK votes to leave the EU, what happens next? What impact would a Brexit have on the Economy and Businesses? Are you prepared for the upcoming EU Referendum? 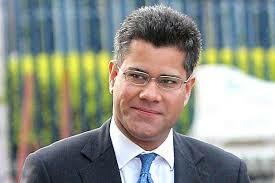 The Event will feature an address from Alok Sharma MP. Elected in 2010 for Reading West, Alok has served as a member of the Commons Science and Technology Select Committee and a Parliamentary Private Secretary at the Treasury. He is also Co-Chariman of Conservative Friends of India. Alok supports Britain staying in the EU.